When I was younger, the only makeup I consider are powder and lip balm. But about more than a year ago, I got interested in using or applying full makeup on my face. 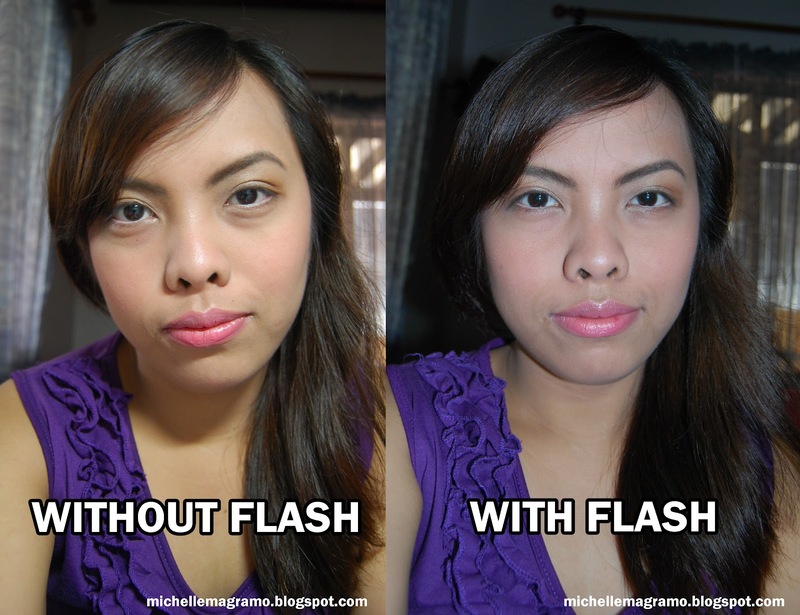 It comprise of foundation, powder, blush, eye shadows, eye liner, mascara, lipstick and lip gloss. Of course, getting the RIGHT makeup for my skin was the hardest. 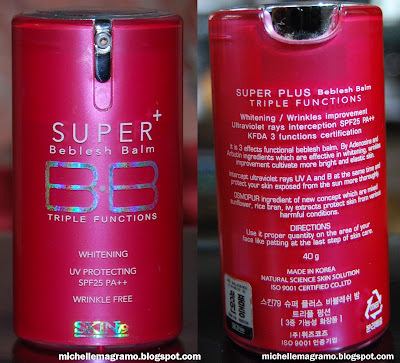 One of the product that I thought was good and want to get a hold of at that time is a BB cream. Almost everyone I know who uses makeup raved about it, hence the lemming. 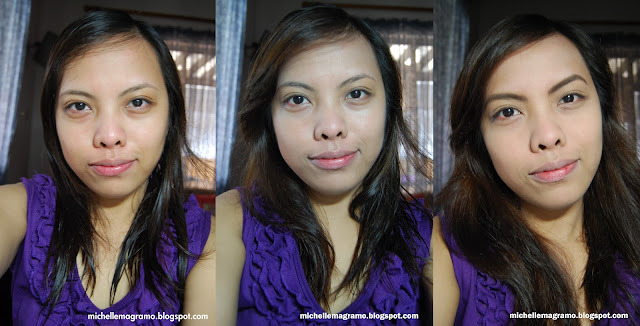 My very first BB cream is Maybelline 8 in 1 BB cream Miracle Skin Perfector and I did not like it at all. The next is the Skin79 VIP Gold and somehow, I think it was okay but nothing special. The third BB cream I used is the Skin79 Hot Pink Super Plus Beblesh Balm 40g. When I bought my Skin79 VIP Gold, I was given a 5g size of the hotpink as a freebie. I liked it over the gold one so I purchased the full size. The authenticity sticker. It's totally authentic. I should be blamed for the scratches and tears. Manufacture date on the bottom part. Some details that should be posted here are written on the box but since I had this for more than a year now, I can't find the box anymore. I think I've thrown it away. You can see there the expiration date, ingredients, benefits and the instructions written in three different languages. These are some things you should consider in buying a Skin79 BB cream to be sure of it's authenticity. Who would want a fake makeup, anyways? I don't. It's a no-no. Here are some helpful links before buying a Skin79 BB Cream. How To Spot The Fake Skin79 BB Cream? After 3 hours. See the oiliness around my nose? - Very cute and sturdy packaging. - The pump makes it hygienic. - Manufacture and expiration dates provided. - Has SPF25 PA++ for skin's protection. - Feels very light on the face. - The smell is somewhat similar to a perfume but milder. I love the scent! - Brightens up my face. - You can't really see how much product you have left because of the packaging. - Gray undertone. I just hate it. Although it tries to blend on my skin color, the gray undertone is still visible. - Comes in one shade only. - Of course, reflects on flash photography due to SPF. - The oil control effect didn't do well on the T-zone. - Has whitening and wrinkle improvement effects which I didn't really notice taking effect on me. Was it just me or it's really not working? Please let me know. - Not available locally (you can purchase this online but be aware of the circulating fake ones). No. I have more knowledge now with BB creams and I can now tell that this one isn't the best for me although I can still make it work. I won't be recommending online shops as to where you can purchase this because this is everywhere in the online market. You can try Facebook, Multiply or Ebay. Just check if it's authentic. Don't forget to join my ongoing Birthday Giveaway sponsored by Shy Shop. Diba? What may work for others may not work for us talaga. Super sayang kaya kahit unti unti, I still use it. Oo nga e. Sayang lang kaya I still use it.